Previous studies have confirmed that for some time now that chemicals in sewage and waste water have been disrupting the endocrine hormones in fish and are affecting the sexual development in them. However, new research indicated that these chemicals and pollutants are also affecting the health and development of wild birds that nest along polluted rivers. Researchers studied a river bird called the Eurasian Dipper that nests along rivers in South Wales where pollutants run rampant. The research found that the chicks born in urban areas are drastically more underweight compared to rural counterparts. It was also discussed that the urban birds nesting in rural areas have altered hormone levels, causing fewer female chicks to hatch and posing a danger for the species. This research was conducted by a team of scientists from Cardiff that were working in collaboration with the University of Saskatchewan and the University of Exeter as well as the Natural Environment Research Council. The research suggests that urban contaminants such as PCBs (polychlorinated biphenyls) and PBDE flame-retardant chemicals (polybrominated diphenyl ethers) that are acquired through the insects they eat are to blame for this shift. The results of the study show a strong correlation between contamination by PBDEs and PCBs with depressed thyroid hormone levels in chicks. One thyroid hormone was 43% lower in chicks from urban rivers than those rural rivers. Professor Steve Ormerod has spent the last 35 years investigating rivers and the effects of pollutants on their wildlife and the wildlife in the surrounding area commented, "Our findings are important in showing that pollutants are still a source of concern for the wildlife along Britain’s urban rivers despite very major recovery from the gross pollution problems of the past. 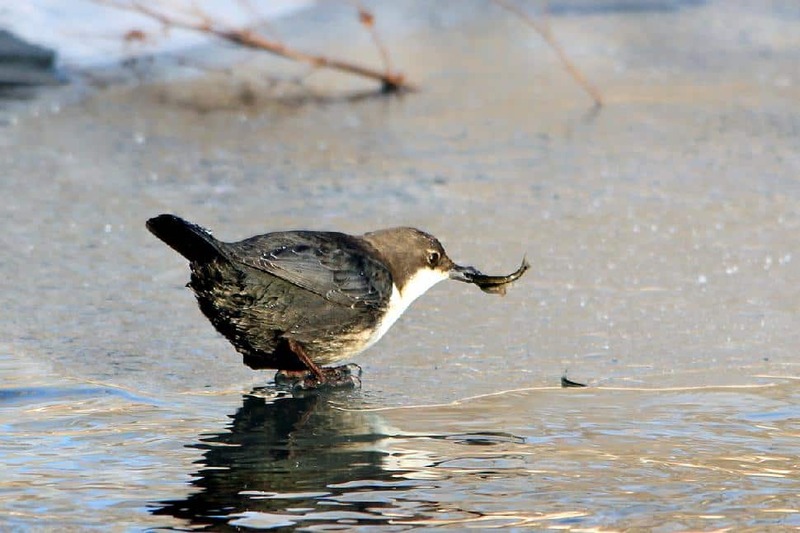 Wild birds, such as dippers, are very important indicators of environmental well-being and food-web contamination, and we need to know if populations, other species — or even people - are also at risk."